We believe in you, you don’t need to do this alone. 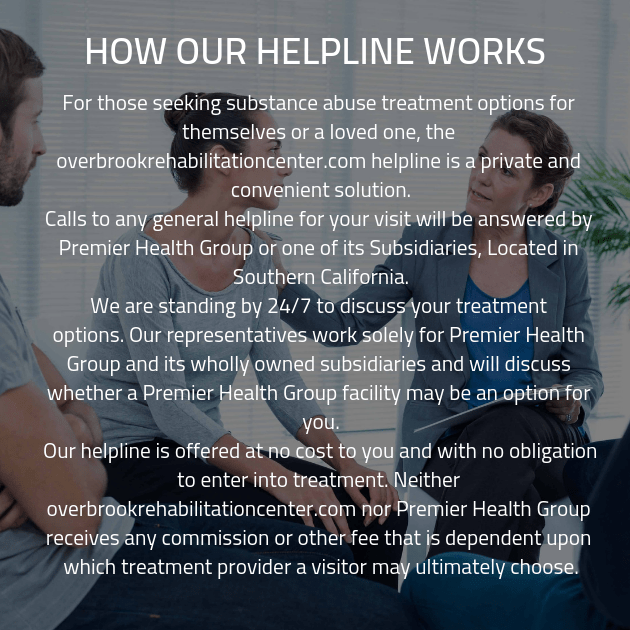 At Overbrooke Rehab, we implement a variety of addiction treatment techniques with unprecedented care and empathy. With supervised detox, dual diagnosis mental health treatment, individual and group therapy, customized treatment plans, and carefully crafted aftercare programs, our clients are able to liberate themselves from their addiction and full and healthy lives. Our trained, experienced, and professional addiction specialists are passionate and committed to helping people like you overcome their problems with genuine care. Nearly half of all people with an addiction also have an underlying and contributing mental illness. To fully recover from an addiction, addiction specialists, must take into account your overall mental health which often hold the root causes of substance abuse. You will find out what you need to have the most effective recovery during one-on-one sessions with your personal counselor. With your mental health healing and recovering, you will feel how good it truly feels to be alive. Even when you go to leave one of our addiction recovery centers, you will need adequate support and guidance in place that will enable you to live years of a sober and fulfilling life. Recovery isn’t over when you leave our treatment, you’ll have supplemental treatment in place. For families with loved ones addicted to drugs or alcohol, we provide intervention services to show how the family is feeling and try to convince the individual to enroll in our drug rehab program. The community that is fostered during group sessions will give you support and guidance when you need it the most. Together you and your fellow clients will share stories, tactics for sobriety, and advice on how to avoid triggers cope with everyday life.